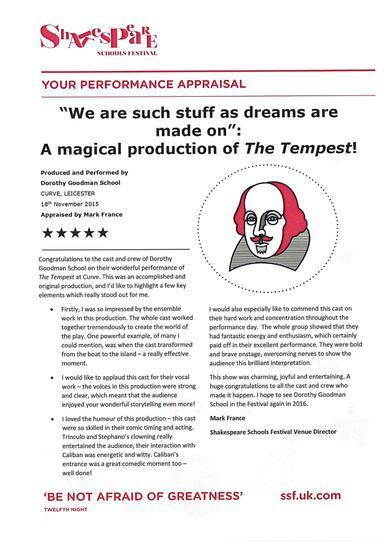 Please see below our performance appraisal from our production of The Tempest at The Shakespeare Schools Festival in November 2015. We are so proud of our Shakespearean actors and their five star performance. A special thanks to Lauren Pickering and her team for helping our young people achieve this 'accomplished and original production'.